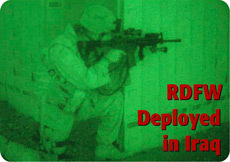 After months of testing in military labs against blast and ballistic threats, RDFW was recently deployed by a US Air Force security forces squadron in Iraq. The squadron constructed a tall wall around a high-value facility on base. 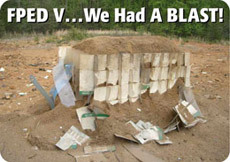 In recent bomb blast testing, Geocell’s Rapid Deployment Fortification Wall (RDFW) survived a “double tap” by two successive hits at close range by 40-pound blocks of C-4 high explosives. 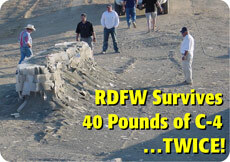 An affordable new product helps give RDFW this unique survivability against multiple attacks. Every two years, the world's leading experts in force protection descend upon the airfield at Quantico Marine Corps Base to view the latest in force-protection technology. This year, one of the stars of the show was Geocell Systems, with the Rapid Deployment Fortification Wall.